Paleo and Eczema: Is There a Connection? If you have kids yourself or know people who do, chances are good that you’ve come across at least one case of eczema in your life: this study looked at the prevalence of eczema in the United States, and found that between 8.7 and 18.1% of children had it, with an overall prevalence of around 11%. So if you know 10 children, on average, one of them will have trouble with eczema. Some parents find that when they switch the family to a Paleo diet, their children’s eczema improves, with milder flares or longer times between flares. But it’s not totally obvious why that would be, especially in children who already tested negative for food allergies that could be causing the eczema. Here’s a quick look at some reasons why Paleo might help with eczema, from the gut on out. Eczema is an allergic disease, which means it’s related to immune malfunction: the immune system mistaking something harmless for a threat, and throwing a hissy fit over it. In some allergies, the hissy fit comes out as a runny nose and stuffy eyes; in others, it’s an anaphylactic reaction; in eczema, it’s an itchy, uncomfortable rash. From a Paleo perspective, allergies should immediately get you thinking about the gut flora, since a huge percentage of the immune system is actually in the gut, and gut responses help to modulate immune sensitization to different foods and other stimuli. Children with eczema have different gut flora than children without, although nobody knows for sure which particular species are desirable or undesirable. It could also be an issue of overall diversity and less about particular species at all. There’s reasonably strong demographic and experimental evidence linking eczema to the gut biome. Demographically, it’s more common among children who live in cities and one-child families. It’s less common among children who live on farms or in rural areas, or among children born outside the United States, even if they now live in the US. Living on a farm exposes children to a lot more different bacteria early in life while their immune systems are still developing, and there’s some pretty good evidence that this could “train” the immune system not to overreact to harmless things. But not all “dirt” is good: this study found that the more broken-down a child’s house was and the more garbage on the streets in their area, the more severe the child’s eczema was likely to be. The sibling connection could also be a gut flora connection: children with older siblings have richer and more diverse gut flora, although it’s not clear that sibling-mediated changes in particular actually contribute to eczema. 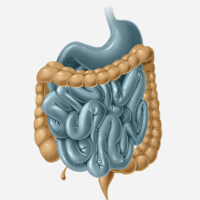 Another piece of evidence for the gut connection: probiotics help. A review of complementary and alternative therapies for eczema found that probiotics were one of the few remedies with actual evidence to back them up: children who got probiotics showed significantly reduced eczema symptoms, and babies whose mothers got probiotics prenatally or while the baby was breastfeeding also benefitted (this makes perfect sense, since gut flora are passed from mother to baby through the birth canal and through breast milk, so anything that helps the mother’s gut will also have benefits for her baby). Considering the relationship between eczema and the gut flora, it’s possible that Paleo is helping by providing prebiotic fiber, eliminating gut irritants, supporting the lining of the gut in various ways, and eliminating refined carbohydrates that could promote the growth of undesirable bacteria. And of course, if Paleo means you’ve discovered probiotic foods, that might also be the secret! In children especially, a lot of evidence points to food allergies and sensitivities as contributing factors to eczema – although they can also coexist without making the eczema symptoms worse. 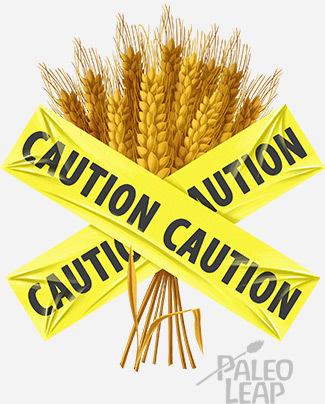 Some foods (milk, eggs, wheat) are more frequently allergenic than others, but it’s theoretically possible to have an allergy to almost anything, and testing isn’t always reliable because it can give false positives and false negatives. A review of treatments suggested that parents keep a food diary to see if any foods are associated with eczema flares, and if they find anything, to try a 4-6 week elimination to see if it helps. There might also be an anti-inflammatory component to the benefits of Paleo. Eczema is an inflammatory disease, with low-level inflammation that persists even after a flare is apparently over. Topical anti-inflammatory treatments are one of the standard prescriptions for people with eczema, and there’s a decent amount of evidence that they work. This is also related to gut health, since the gut is such an important modulator of inflammation, but it’s also related to diet and lifestyle choices like eating fewer industrial fats, taking enough time to recover from your workouts, and getting enough sleep. Because it combines anti-inflammatory diet and lifestyle factors, Paleo is basically a dietary inflammation fighter that works from the inside out, so it might help with eczema symptoms purely on that level. Eczema is really complicated, and has all kinds of causes that have nothing to do with diet. But in some cases, there’s at least a plausible explanation for why Paleo could help so much – with better gut health comes better regulation of the immune/allergic response and less inflammation, and it’s possible that Paleo just eliminates some food allergens that could contribute to eczema flares. It’s not a substitute for a doctor or for other treatments, but if it helps manage the symptoms, so much the better!